 With over 25 years of service, OJ’s Janitorial & Sweeping Service, LLC provides services not only to Commercial & Industrial clients, but to Governmental clients as well. OJ’s has provided solid, professional services enables facilities to have an institutional look for several governmental departments such as HRSA, USCG, Department of Army, TSA, USDA, ARS & U.S. Naval. FACILITIES OPERATIONS AND MAINTENANCE INCLUDES THE AREAS OF JANITORIAL, CUSTODIAL & HOUSEKEEPING SERVICES, PORTER SERVICES, PARKING LOTS & STREET SWEEPING SERVICES, GROUNDS AND LAWN MAINTENANCE SERVICES, FACILITIES SUPPORT SERVICES, FACILITY MANAGEMENT, DEBRIS REMOVAL, LAUNDRY SERVICES, COURIER & DELIVERY SERVICES AND MUCH MORE.